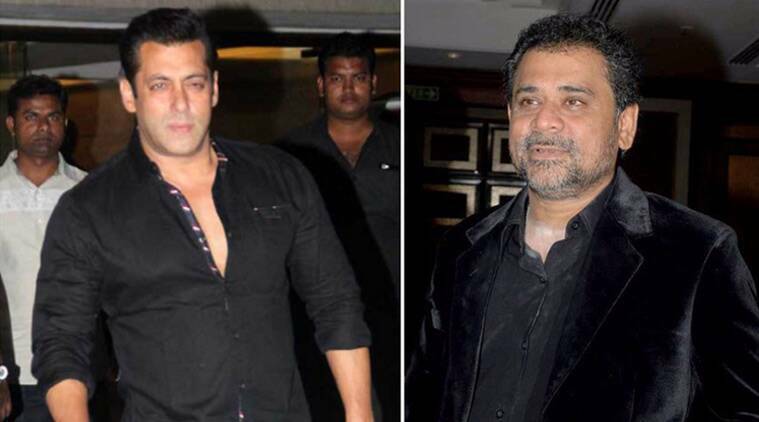 Filmmaker Anees Bazmee is waiting for superstar Salman Khan's dates to start shooting the much-anticipated sequel to his 2005 hit "No Entry". “We are waiting for Salman Khan to give his dates so accordingly we can get dates of other actors and start the project,” Anees Bazmee said. Filmmaker Anees Bazmee is ready with the story of the much-anticipated sequel to his 2005 hit “No Entry” but is waiting for superstar Salman Khan’s dates to start shooting the movie. Salman, 49, is busy with Sooraj Barajatya’s “Prem Ratan Dhan Payo” and will soon start shooting for Aditya Chopra’s “Sultan”. “We are ready with the ‘No Entry’ sequel. We are waiting for Salman to give his dates so accordingly we can get dates of other actors and start the project,” Bazmee told PTI. The director, who is behind successful comedies like “Welcome”, “Ready” and “Singh is King”, revealed the original male cast of “No Entry”– Salman, Anil Kapoor and Fardeen Khan will be seen in double roles in the sequel. Bipasha Basu will also make a comeback in the film. Besides her, nine other actresses will also be seen. Bazmee will direct the sequel of “Aankhen”, a 2002 heist thriller drama film which was then directed by Vipul Shah with Amitabh Bachchan in the lead role. The film was an adaptation of Shah’s own Gujarati play “Andhalo Pato”. “Aankhen” also featured Akshay Kumar, Arjun Rampal and Paresh Rawal and it revolved around character of Vijay Singh Rajput (Bachchan). “I will be doing ‘Aankhen 2’ with John Abraham, Amitabh Bachchan and Anil Kapoor. There will be two heroines in the film but we are yet to finalise them. John will be playing the role of a blind man and there will be two other actors in the film, who will be blind,” he added. “We are looking for established actors for this part (two blind men). The role of Amitji (Amitabh Bachchan) will be continuation of the story in the sequel and Anil would be playing a different role. I cannot reveal much about it,” he said. Bazmee said the basic plot will remain same. “The actors will be blind. We might go on floors from September,” the director said. He is now looking forward to the release of “Welcome Back”, which hits theatre on September 4.